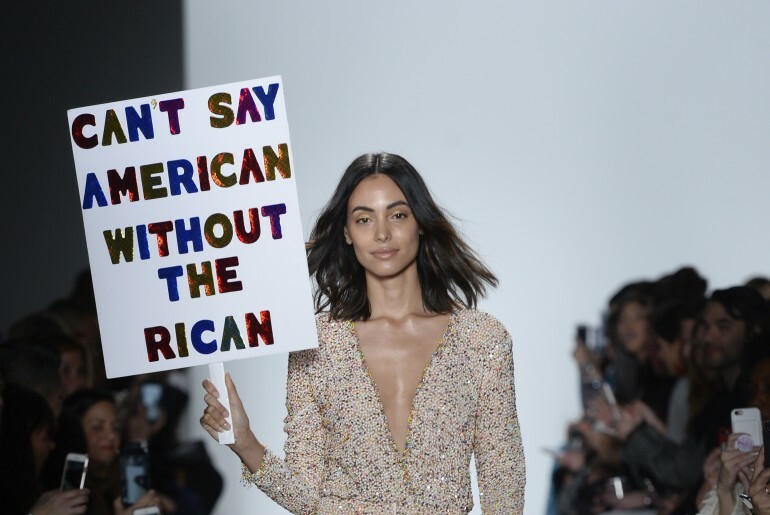 The stage B of Pier 59 Studios was the stage Puerto Rican designer Stella Nolasco used to not only raise funds to support the Artz Cure Sarcoma Foundation, Puerto Rico’s West Coast Medical Relief effort, but also to let people know that even though fashion, feminism, and politics have always been heated territory, combined can be very powerful. 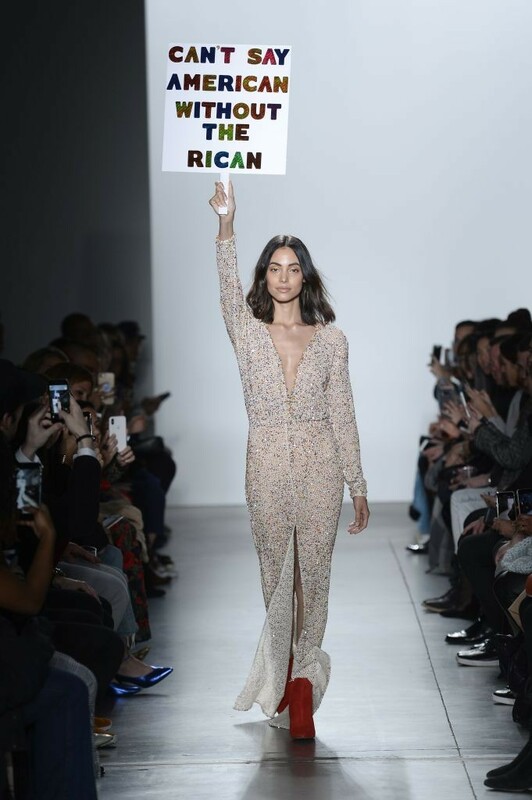 Before hurricane Maria hit the island, Nolasco was working on her S/S 2018 collection and her spring fashion show was scheduled for the third week of October. Not only was the designer's home flooded, but many of her seamstresses lost everything and her studio in San Juan still to this day must run a power generator as they have no electricity. From what Nolasco was able to rescue, she created a F/W 2018 collection to present during the runway show at NYFW. She aims to raise funds from guests attending and PR efforts around the show to generate donations to support the Artz Cure Sarcoma Foundation, Puerto Rico’s West Coast Medical Relief effort.